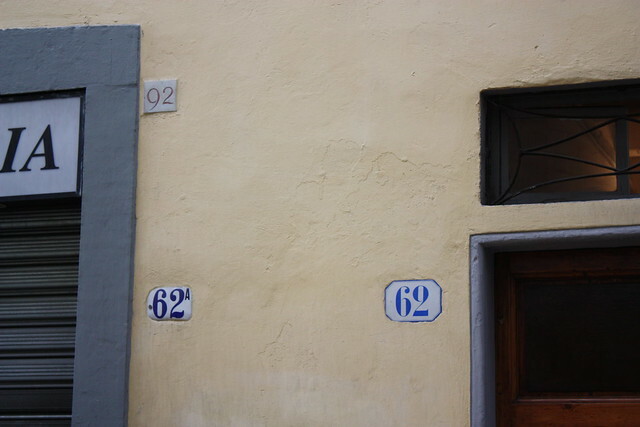 Looking for a particular address in Florence, but having a little trouble? You're not alone. The numbering system here can be a bit confusing to the casual tourist or newcomer. 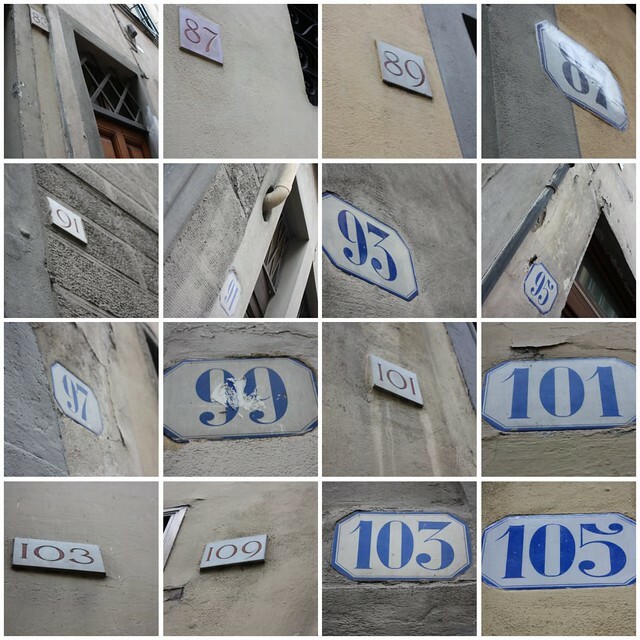 Follow the photo above from left-to-right in each row and see the numbers on a street in our neighborhood. Confusing right? According to JustItaly.org, private homes, some offices, and hotels are numbered in black (or blue), while businesses, shops, and restaurants are numbered independently in red. This means that 1, 2, 3 (black) addresses march up the block numerically oblivious to their 1r, 2r, 3r (red) neighbors. Well, that' show it usually works. Anyone that lived here for a week can attest that even that system isn't 100% accurate. The moral of the story? When in doubt (or lost) ask a local for help.